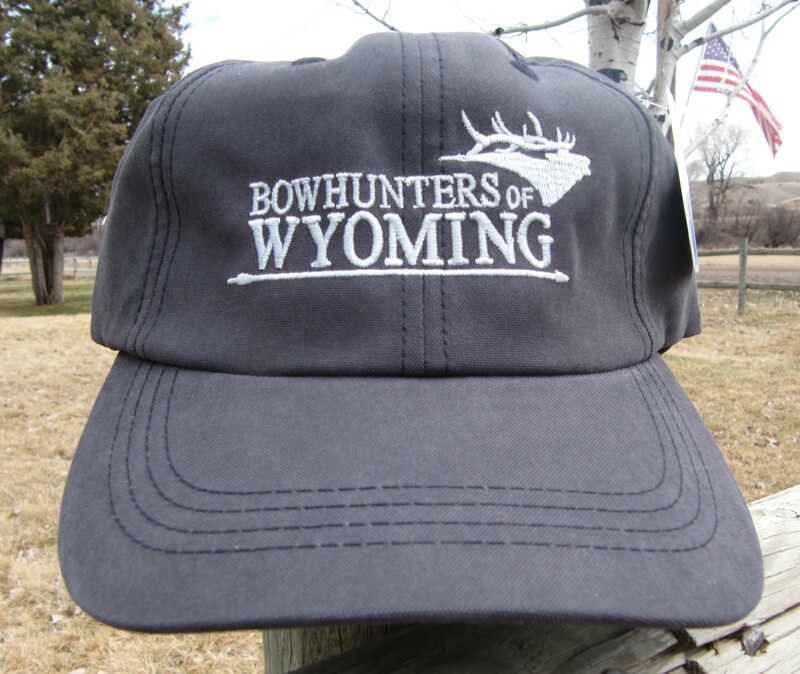 BOW Apparel | Bowhunters of Wyoming, Inc. The following merchandise is available for purchase from BOW. Black print with a white background. Hat with a Elk, Arrow and Bowhunters of Wyoming Imprint. Elk, Arrow and Bowhunters of Wyoming on the left front. Three bowhunters (compound and traditional) outlined within the letters of BOW. Cracked BOW letters and hunter with compound bow.